Let Them Eat Cake — Conveniently! I’ve written on here just a little about my experiences selling Pampered Chef, but it hadn’t occurred to me to actually write about Pampered Chef products until I saw in my search stats that people were coming to my blog looking for that sort of info. So I hope you’ll pardon me if I indulge myself slightly writing about what is almost certainly my favorite Pampered Chef product so far — the Round Covered Baker. 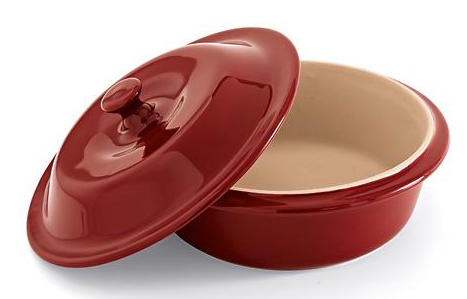 The Round Covered Baker is a new product, a smaller (and cheaper) version of a Pampered Chef classic, the Deep Covered Baker, which was one of the first PC products I ever heard about. The person who was showing it to me called it “the magic pot.” You can use it in the microwave, freezer and oven, and in the microwave, the results are basically like oven baking at microwave speeds, which is sort of awesome. With it, you can microwave casseroles, cakes, chicken breasts, and on and on. The Deep Covered Baker is a little on the pricier end of the Pampered Chef spectrum, and a little large for my needs, so while it was definitely on my eventual “to get” list, it wasn’t at the top. And then, earlier this year, I went to the Pampered Chef Spring Launch event in Atlanta, where they revealed the new products being released for spring. And, yeah, there was some cool stuff — I will be obtaining the french fry cutter and the brownie pan post haste. But, for me, the highlight was, without question, the Round Covered Baker. And, better yet, because I’d hosted two shows in December, I was going to be getting one for free. I’ll be honest with you — as much as I’m enjoying Pampered Chef, I had no idea how excited I could get about a PC conference, but, yeah, at that point, I was a happy happy man. Around the same time, I came across a recipe that I’d seen before, but was much more interested in this time. The recipe was for a “Soda Can Cake,” and it goes like this — you take a box of cake mix. You take a can of soda. You pour the soda into the cake mix. You beat them together, and then bake it. No eggs, no anything. Just cake mix and soda. And you get to pick what kind of cake mix and soda you want to use, with any number of fun variations possible. Just playing with orange soda, I’ve made tasty combinations with chocolate and vanilla cake mixes. Mix that recipe with the round covered baker, and making a cake becomes crazy easy. I can go from start to finish making a cake in 10 minutes. I’ve finished supper, decided that I wanted dessert, and in no time at all, been eating a freshly baked cake. And that’s just kind of cool. It’s not the only reason to buy one of the covered bakers, and probably not even the best. But, for me, it’s plenty of reason enough. Quite a while back, in one of the more-read posts on my blog, I wrote about my conflicted thoughts about e-book readers. Since then, I’ve drifted, if a bit ironically, even further into the anti-eReader camp. I fear the consequences of a diminishment of printed reading matter. 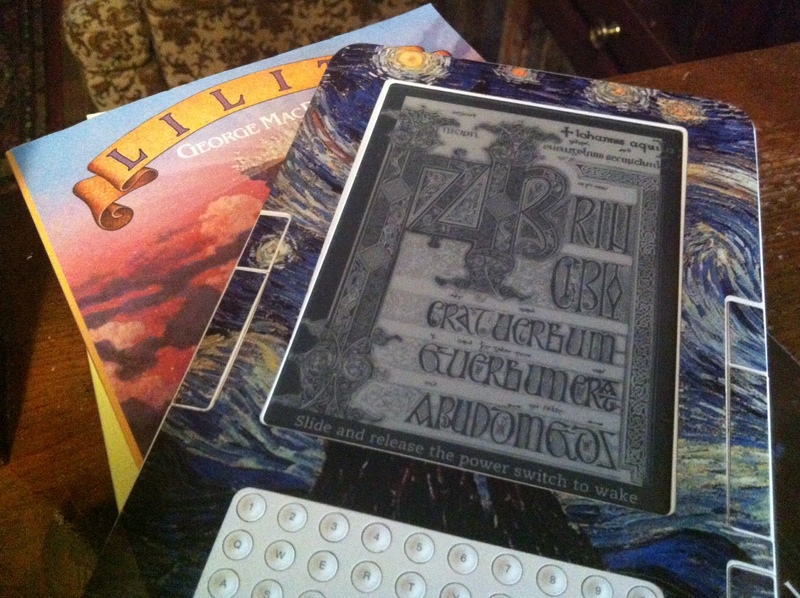 Even more recently, I’ve come into use of a Kindle. I was dubious when it was first loaned to me. What am I going to do with it? I’m not going to buy books for it; I’d sooner buy them in print. It came pre-loaded with some books, but, again, I think I’d prefer to read from my waiting collection of to-read books. However, the initial answer quickly presented itself. Another friend had loaned me a couple of books to read. They were older, public domain books, and had apparently been out of print before a company decided to make them available in print again. And, to be gracious, they were ugly. 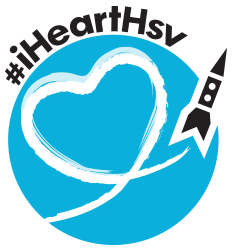 The page layout was sloppy, and as a result, the books were unpleasant to read to the point that it was affecting my enjoyment of the actual content. So I looked on the Kindle store, and there they were. Since they were public domain, there they were for free. So, yeah, sure, I’ll give that a shot. And the formatting options on the Kindle, disconnected from the limitations and advantages of the printed page, meant that I could make the text agreeable to read. Which was a real step up from the printed versions that I had been reading. So, the war is far from over, but the Kindle won its first battle for my approval. I’m not ready yet to say that the Kindle is great, but I will at least grant at this point that it is better than a bad book. If, a couple of weeks ago, you had asked me to list activities I enjoy, I’m not sure that I would have thought to put “breathing” on the list. But, you know, I do enjoy breathing. Like, a lot. A couple of weeks ago, I went scuba diving. This was another of my Living Social adventures; I got a half-price deal on an introductory scuba class, complete with a brief dive. The class was uneventful. The dive was … interesting. The class and dive were through Better Diver in Madison, Ala., and I cannot speak highly enough of how professionally everything was handled. 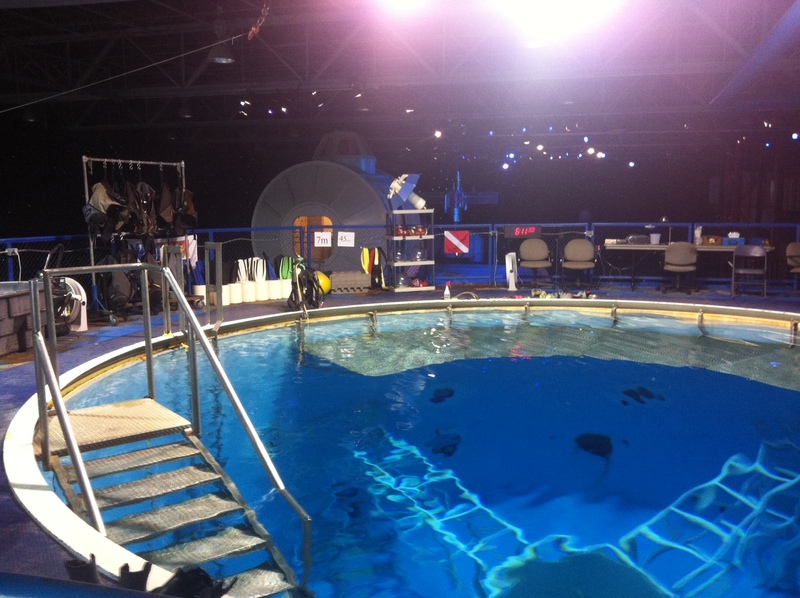 The dive was at the tank at the U.S. Space & Rocket Center, where it’s used for Space Camp. NASA uses large water tanks for astronaut training — the underwater buoyancy simulates the weightless conditions of space. I’ve seen the tank many a time, peeking in through the side window at divers inside. It was a neat experience actually going into one of the few Space Camp facilities I’d seen many times but never used first-hand. So, like I said, the big take-away of the experience for me — I like breathing. It was amazing how complex the process of breathing was for me. Remembering how to breathe in, how to breathe out, how to exhale into the mask to clear out water. For quite a while, I didn’t think I would be able to do it. We had a brief orientation on a platform at the top of the tank before the dive proper, and I kept having to surface. For quite a while, I thought I would be unable to actually get to the point where I would have the confidence to go all the way under. (In my defense, I have mild issues with breathing. Like many things I do, I do it fine, just a bit off-nominally.) Even after I finally got it relatively mastered, I was still aware of breathing the whole time I was under. For the last part of the time, my attention was largely focused on how much I was looking forward to surfacing and breathing real fresh air that wasn’t out of a can. Beyond that — I still stink at non-Earth-standard gravitational regimes. The high-bouyancy environment was interesting. I slam-dunked a bowling ball, which I can’t usually do. I tend to demonstrate fairly two-dimensional thinking. My head usually stayed pretty much vertically above my feet. It was cool that it was in the Space Camp tank, since it meant that there was a space connection and flavor to the dive. I got to try out the spacecraft equipment simulator, which was fun. I don’t know that it’s something that I’m in any great hurry to do again, but it’s definitely something that I’m glad that I did, definitely an experience that I’m glad that I have. And, if nothing else, it was worth every time to look through that window, finally, from the other side. Ah, radio. My old friend. We do have our moments, don’t we? I tend to go through phases with radio. At times, I listen relatively frequently. Other times, I don’t listen at all. My relationship with radio at this point is centered entirely around my car. I do not remember the last time I turned on the radio in my house. If the radio’s on, I’m driving. That’s all there is to it. But even then, it varies from time to time. For the longest time, I had two or three radio stations that I listened to regularly. If I was in the mood for country or contemporary Christian, I was probably listening to the radio. If I wasn’t, I wasn’t. In cars past, a lot of my driving time was spent listening to the iPod. My current car, unfortunately, was made in an unfortunate point for iPod-listening — too new to have a tape deck for an adapter, too old to have an audio input line to hook up to. I can listen to my iPod, but I have to do so through a radio transmitter, and that requires enough set-up time to be a commitment. Which means, in this car, the choices are radio or CD, and that gets into a mood thing. The CDs are a known quantity. If I’m in the mood for one, I listen to it. If I’m not, I don’t. The latest development in my love/apathy relationship with radio is the launch of Journey 93.3. Back when I was in high school, 93.3 was one of the two leading rock/pop stations, and I listened to it frequently. Then it became the Possum, and at the time I had no interest in country, so it dropped off the dial as far as I was concerned. By a few years ago, it had changed a time or two since, and was a different country station, the Wolf. I was listening to country then, so I listened to 93.3. And then, one day, I turned on the radio, and they were playing songs that had no place on the Wolf. The first one I thought was a fluke, but after the third one, I realized 93.3 had changed formats yet again. Now, it’s what once would have been called a classic rock or oldies station, playing stuff that’s 10-30 years old. Meaning that 93.3 is once again playing a lot of the same music it did when I was in high school. And, embracing the fact that I’m apparently officially old, I’m listening to it now just as happily as I did then. sometimes he does lori mckenna on a cd? In my defense, I have been blogging. Oh, sure, up until Sunday, I hadn’t written on here in over two months, which is shameful, and I’m trying to do better. 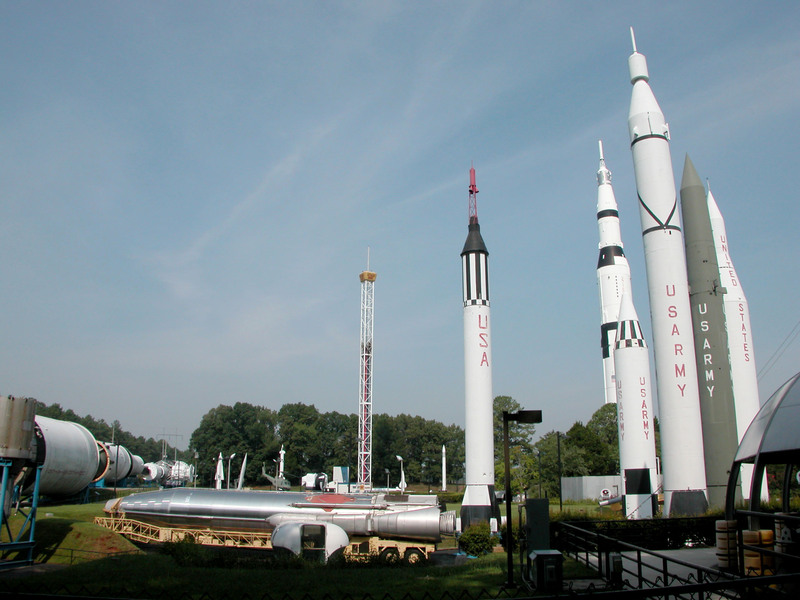 Back before the beginning of the year, the social media manager at the U.S. Space & Rocket Center asked me if I would consider including in my volunteer work writing posts for the official USSRC blog. For the time being, that’s evolved from me being a blogger for the center to being the blogger for the center. The results are online at Signals From Tranquility Base. I was tasked with writing about artifacts in the museum’s collection, and I decided to write it using a “This Week In Space History” approach. Each week, I pick an event marking an anniversary, and tie it to an artifact in at the museum. The fun part, though, is the stories. I try and find a different angle each time for the posts, making it a little bit more than just-the-facts. I’m enjoying it. It’s been too long since I’ve written space stories on a regular basis, and I’ve missed it. After nine years at NASA, there are a lot of stories stuck in my head, and it makes me very happy to be able to share them again, to be able to tell them for such a good purpose. And, you know, they really are some good stories.